XL 6800 x 4538px 15 Mb. 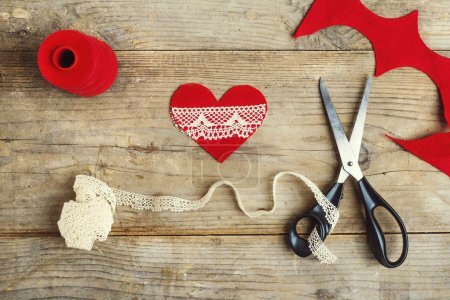 Handcrafting of felt heart on a wooden floor background. View from above.